This page contains information on how to use MyWeedWatcher and on the online weed identification training. 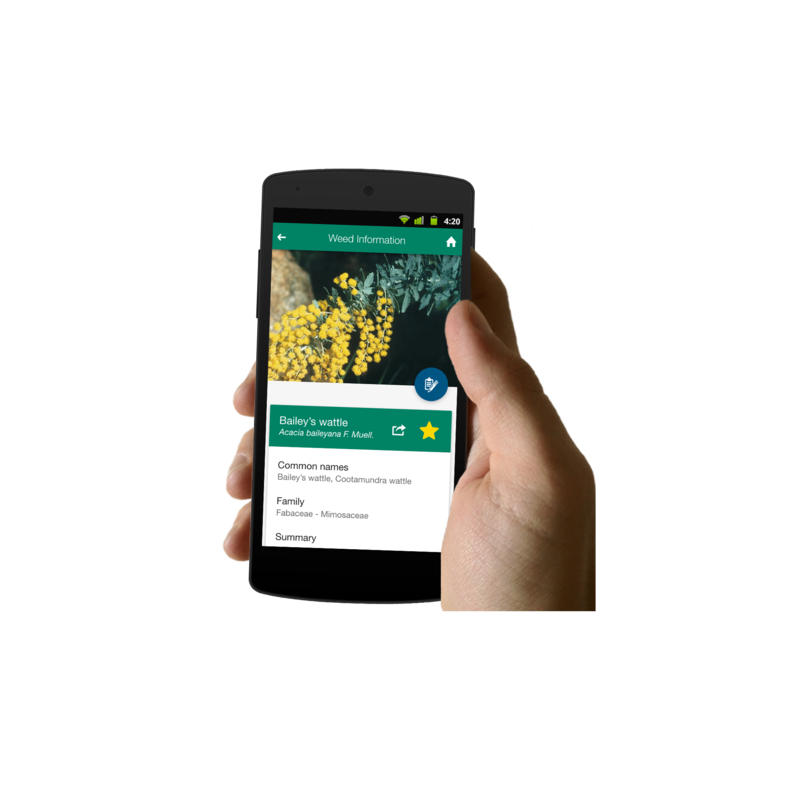 MyWeedWatcher enables the general community and community groups to use smartphone and tablet devices to identify, survey and report weeds and view results online. Through the online weed identification training courses discover how to identify and report different declared weeds. African acacias: karroo thorn (Vachellia karroo) . Apple of Sodom (Solanum linnaeanum). Cape tulip (Moraea flaccida (one-leaf) & Moraea miniata (two-leaf). Perennial thistle (Cirsium arvense) VERY HARD TO FIND ONLY FOR EXPERTS. Purple flowered devil's claw (Proboscidea louisianica). Three horned bedstraw (Galium tricornutum) ONLY RECOMMENDED FOR GRAIN INDUSTRY. Instructions on how to use MyWeedWatcher will be added to this page as they become available. To quickly learn how to use MyWeedWatcher at a glance read the one page document called MyWeedWatcher quick tips. press the GPS button several times until the latitute and longitude numbers stop changing. This will maximise your chances of the correct reading. use the map feature (if you are in mobile or wifi range) to position a pin or polygon (shape) where you want it on the map. overwrite the latitude and longitude with a reading from a more accurate GPS device (set device to decimal degrees). Use WiFi to save on your data costs to download MyWeedWatcher. MyWeedWatcher takes just under 100MB to download. Note: after the first download and login you will not have data usage problems. Check that you have good connectivity to the internet. The login screen of MyWeedWatcher will not work if you do not have good connectivity. Login using WiFi or 3 bars or more on mobile. double click the home button (iOS/iphone) and turn MyWeedWatcher and other apps off by flicking them up and out of the screen or turn your device on and off. What to do: open the PowerPoint presentation and click through the slide show from the beginning. In the PowerPoint presentation go to: slide show > from beginning. 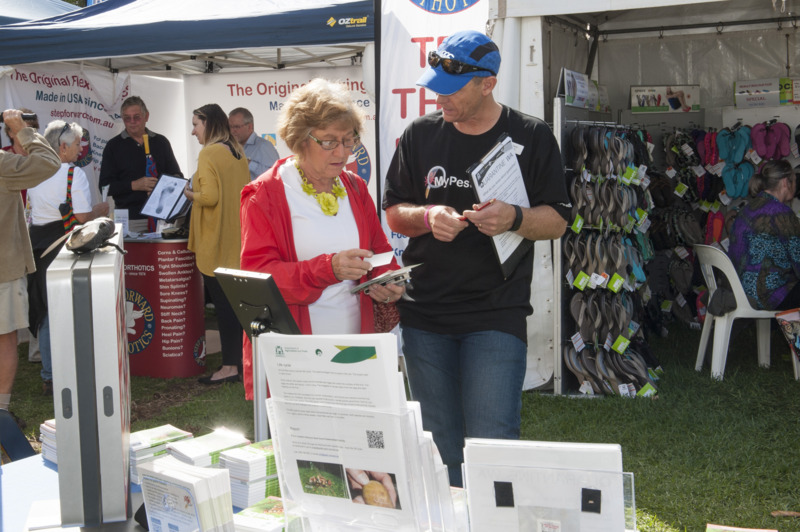 We encourage community, industry or biosecurity groups to download content to show others how to use MyWeedWatcher. The Logging into MyWeedWatcher presentation goes through the steps of registering for reporting before logging into MyWeedWatcher. You can find walkthrough videos on how to use the smartphone or tablet application at the bottom of the following page: MyWeedWatcher information. Note: these are silent videos. Create an observation by identifying a weed (1.38 minutes): would you like a quick run through on how to identify a weed and create an observation on a smartphone or tablet? This video takes you through creating an observation from a weed you have identified. Find this video at the bottom of the following page: MyWeedWatcher information. Create an observation without identifying a weed (1.33 minutes): would you like a quick run through on how to create an observation on a smartphone or tablet? This video takes you through creating an observation if you know what weed you have found. Find this video at the bottom of the following page: MyWeedWatcher information. Information about what MyWeedWatcher can do: MyWeedWatcher information. Updates on MyWeedWatcher: MyWeedWatcher updates. The web application to report weeds and view reports online: MyWeedWatcher.